Kirk Nix Collection. 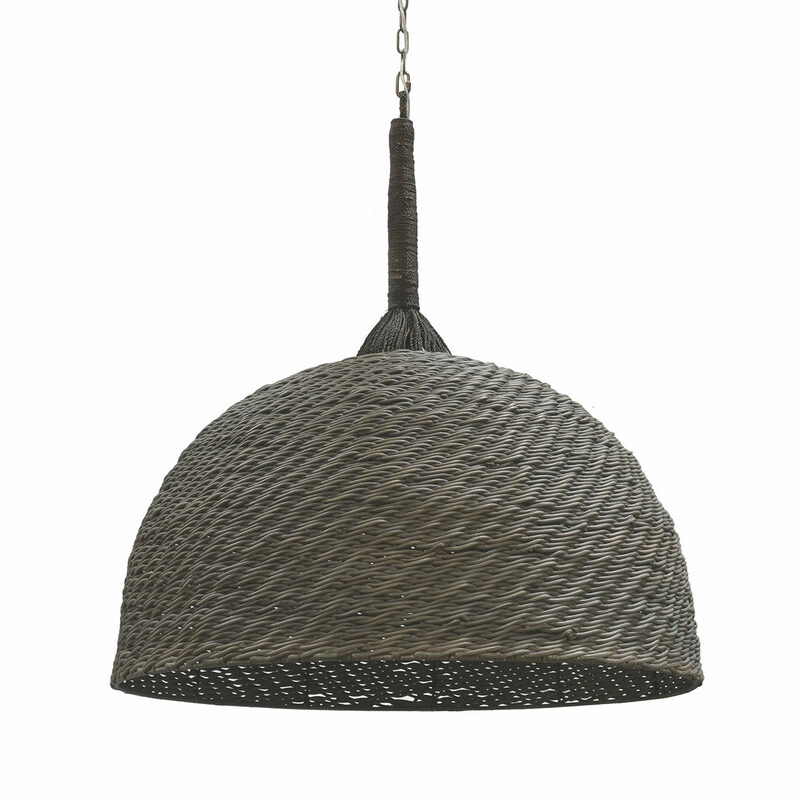 Oversized pendant with hand-woven wicker in a dark grey finish accented with a hand-twisted grey lampakanai rope hanger. Pendant comes with an antique brass finished chain and canopy hanging kit. Professional installation recommended.